The perfect massage oil for babies and moms! Leaves skin soft, supple and nourished. It will also calm and relax your mind. Moisturizing and sensorial massage oil, loaded with essential oils with multiple properties for the skin and beneficial aromatherapeutic effects. The safe blend of lavender and chamomile along with marigold, jojoba and rosehip make a smooth blend making it suitable for babies and their moms. Sunflower Oil: Rich in vitamin E, minerals and antioxidants. It is anti-aging and treats problems like acne and dermatitis. It is antibacterial and very soothing. Jojoba Oil: Moisturizes all skin types and plays an important role as skin protector, either by external factors (environmental) or by premature aging. It regulates sebaceous production, especially in oily skin and associated problems. It has an excellent tolerability, penetrates easily and leaves a satin tone that embellishes. Prepares the skin for future solar exposures. Lavender: Innocuous and of excellent tolerance. Calm and silk. It is very healing and regenerating the skin. It has antimicrobial and antiseptic properties. It treats states of stress, anxiety, insomnia and agitation. 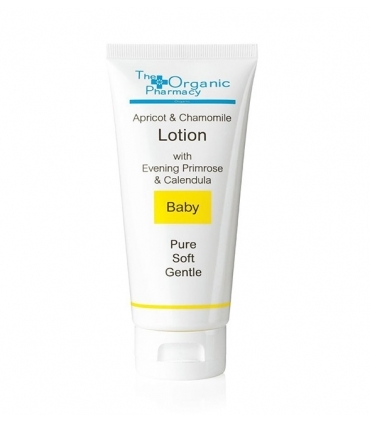 It also relieves numerous skin problems like acne, psoriasis, eczema, itching, dermatitis, ulcers, sores and cuperosis. Massage the body of the baby or child every night with the softening oil to enjoy beautiful and repairing dreams. Sunflower Oil (Helianthus Annus), Jojoba Oil (Simmondsia Chinensis), Marigold (Calendula Officinalis) Extract *, Carrot (Daucus Carrota), Lavender (Lavandula Officinalis), Chamomile (Anthemis Nobilis), Vitamin E (Tocopherol), Linalool, Limonene , Geraniol.